The Center for Advanced Research on Language Acquisition (CARLA) at the University of Minnesota has provided high-quality professional development for language teachers for over two decades. Launched in 1996, this internationally known program reflects CARLA's commitment to link research and theory with practical applications for the classroom. Each institute is highly interactive and includes discussion, hands-on activities, and plenty of networking opportunities. Who Participates in the CARLA Summer Institutes? CARLA summer institute participants—more than 6,000 to date—have come from every state and countries all over the world. They have included foreign language/world, ESL/EFL, and immersion educators at all levels of instruction, as well as program administrators, curriculum specialists, and language teacher educators. CARLA celebrated a successful conclusion to the center’s 23rd annual summer institute program in August! This year CARLA offered 14 summer programs including ten week-long, face-to-face summer institutes and four online summer institutes, one of which was funded through the STARTALK program for the sixth consecutive year. As in years past, language teachers from all over the world attended the CARLA summer institutes—either in person or virtually. 335 participants engaged in CARLA-sponsored professional development programs this summer: 301 people participated in the CARLA summer institute program while 34 teachers of less commonly taught languages were enrolled in the STARTALK online course. CARLA’s online options had a total enrollment of 101 virtual participants. Participants hailed from 33 states and 18 countries including Algeria, Australia, Chile, France, Honduras, Italy, Japan, Kenya, The Netherlands, Russia, Spain, Taiwan, and United Arab Emirates. The summer programs served teachers of 23 languages: Arabic, Chinese, Dakota/Lakota, Dutch, EFL/ESL, French, German, Greek, Hawaiian, Hebrew, Hindi/Urdu, Italian, Japanese, Korean, Latin, Menominee, Ojibwe, Portuguese, Russian, Spanish, Swahili, Ukrainian, and Yugtun/Yup'ik. It is clear from reading the institute evaluations that these professional development opportunities make a significant difference for language teachers and their students. Comments by participants show that CARLA is seen as the “go to” center for resources and support for language instruction, and they greatly appreciate that our instructors are some of the best in the field. 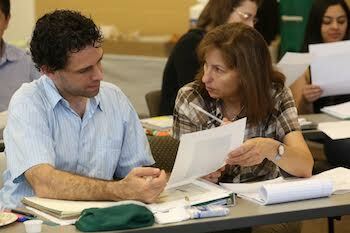 See a list of all the summer institutes CARLA has offered since the program began in 1996. The institutes have been developed and are supported, in part, by the U.S. Department of Educations Title VI Language Resource Center program. 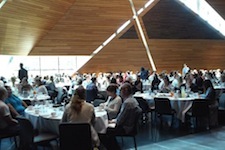 The summer institutes are co-sponsored by the University of Minnesotas College of Education and Human Development and College of Liberal Arts.